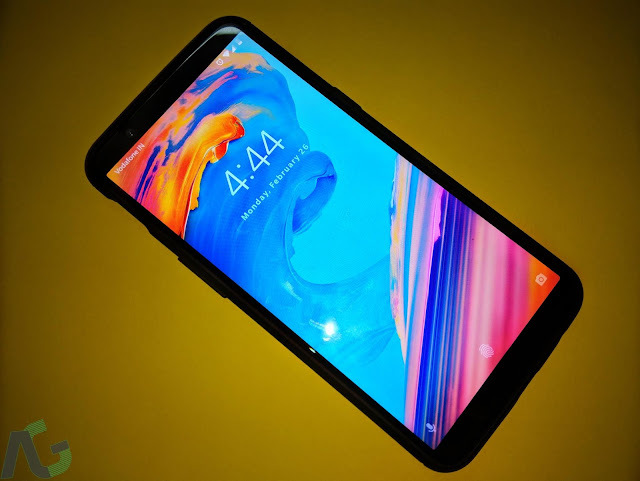 [UPDATE: Links] OxygenOS 5.1.2 Rolling Out To OnePlus 5/5T With May Security Patch, Double Tap To Lock Screen For Launcher & More - AndroGuider | One Stop For The Techy You! OnePlus started rolling out an update to the OP3 and 3T on Friday, and now the company's yesteryear smartphones are getting a new update. 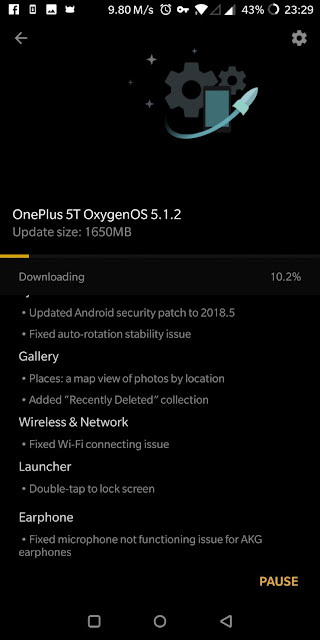 OxygenOS 5.1.2 for the OnePlus 5 and 5T brings new options to the inbuilt gallery application, double tap to lock screen on the launcher, and the May security patch. Additionally, there are fixes for auto-rotation, WiFi, and microphone of the AKG earphones not working. The update changelog is given below. The update size is 1.6GB, so you might want to be connected to a WiFi network to download the large update file. The OTA update is rolling out to all OnePlus 5 and 5T users, and as is the case with all OTA updates, the update will roll out to a limited audience today, followed by an increasing audience on each subsequent day. This effectively means that the update may take awhile to show up for you. If you don't wish to wait, you can try checking for the update from Settings > System update. Alternatively, you can flash the update manually, but OnePlus hasn't posted the download files yet. 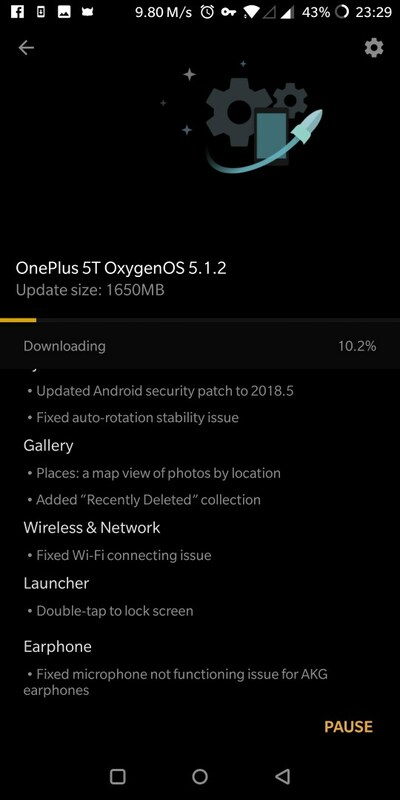 We will update this post as soon as OnePlus releases the images of OxygenOS 5.1.2. OnePlus hasn't posted the download files on its website, but users on OnePlus forums have shared the links of the full ROM files.